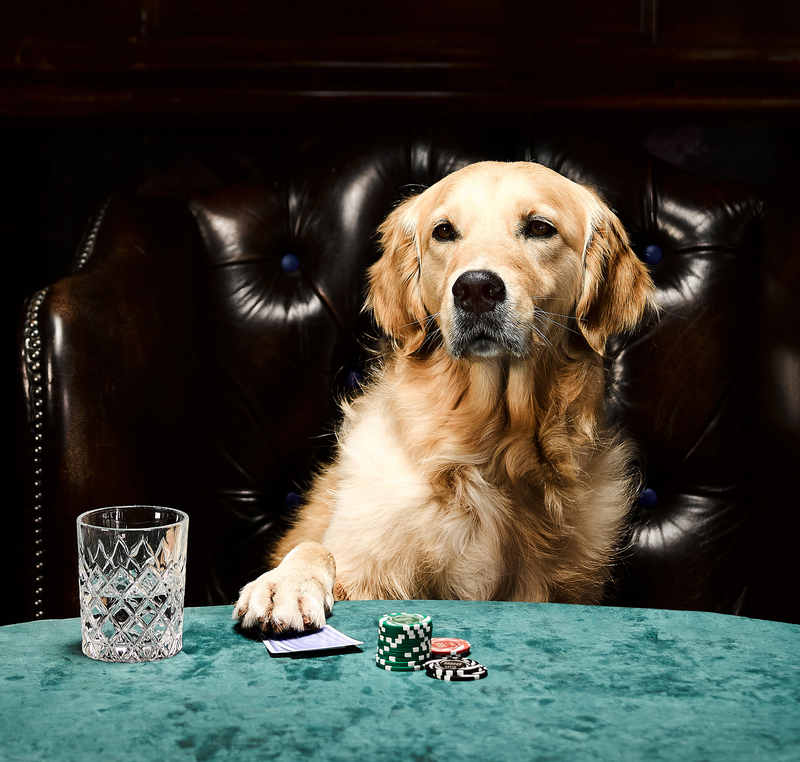 In a re”bark”able celebration of its fourth consecutive year of sponsoring the World Series of Poker (WSOP), 888poker.com has released a series of images of dogs playing poker – in real life! 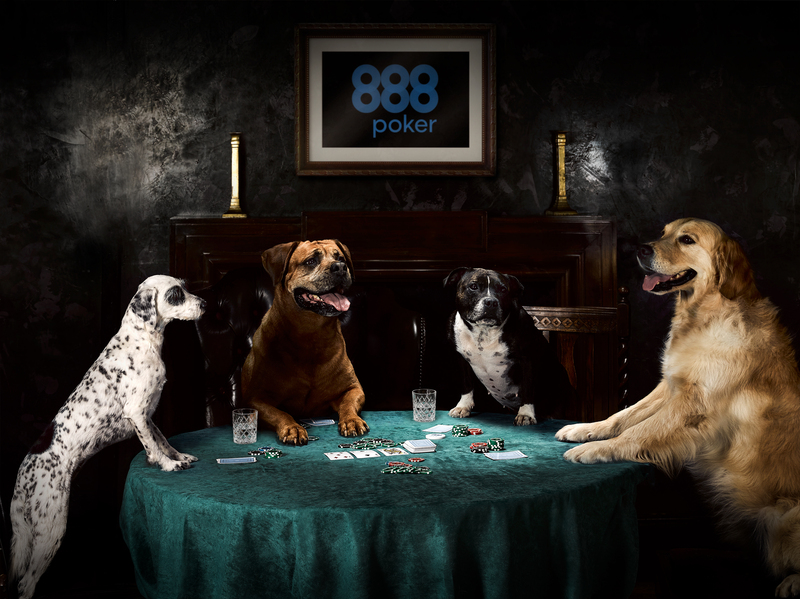 888poker’s The Woof Series of Poker, has been created to reimagine a modern-day version of the iconic paintings dating from 1894 – 1910 collectively referred to as ‘Dogs Playing Poker’ by Cassius Marcellus Coolidge. Bringing the painting to life with Bella, Mitzi, Cleo and Freddie, the paw-some picture has been shot for the 49th annual WSOP as the final leg of the event kicks off in Las Vegas on 2nd July. Once each of the flights has been played, the fields will combine on Sunday 7th July, with a champion to be crowned on Saturday 14th July, when we will discover the true pedigrees of poker. Featuring the wagging tails and growling faces of a jackapoo, golden retriever, Staffordshire bull terrier and a Rottweiler, all sporting wicked poker faces. No doubt that these images will leave poker fans howling with laughter, and baying for more. Sniffing out the competition is what the players in the WSOP do best! The series runs from 2nd - 15th July, and if the World Series of Poker has inspired you to start playing poker, then fetch your laptop, sit down, stay and roll over on the couch whilst you sign up to 888poker.com! This press release was distributed by ResponseSource Press Release Wire on behalf of Frank PR in the following categories: Men's Interest, Entertainment & Arts, Leisure & Hobbies, for more information visit https://pressreleasewire.responsesource.com/about.